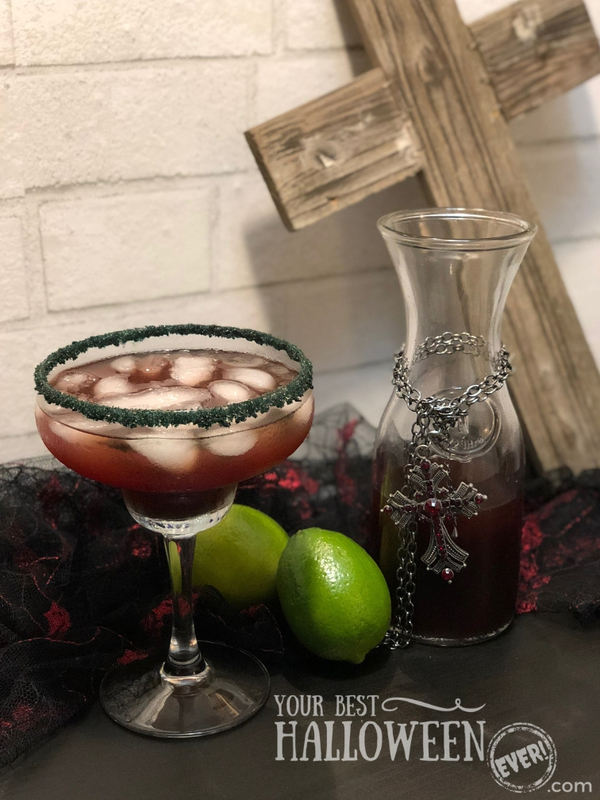 When I made The Vampire’s Kiss Margarita, I decided to dye some salt I already had in my pantry using some black food coloring I picked up at the store. As you can tell from the picture above, it didn’t exactly come out black; it turns out that most black dyes are based in a very dark blue or green. The color wound up being a pretty cool dark, dark green that looked awesome with the deep red of the black cherry juice—for whatever reason, it kept reminding me of a dusted vampire from Buffy! Regardless of the salt color behaving or not, The Vampire’s Kiss Margarita was mighty tasty! 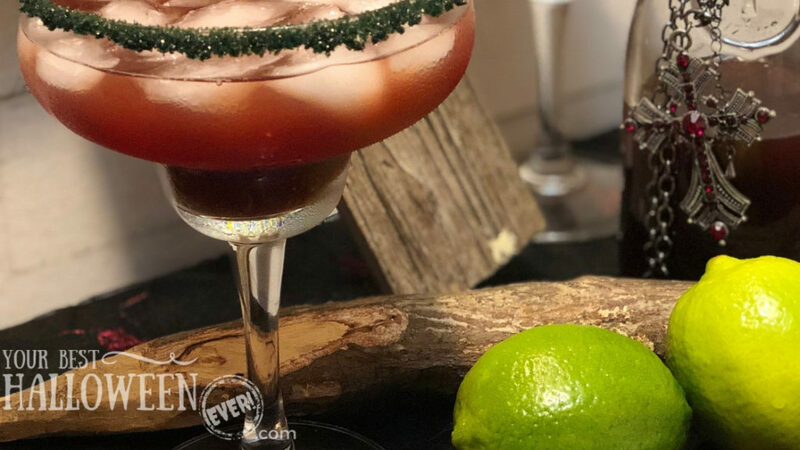 If you’re looking to add a dark and flavorful cocktail to your Halloween party’s drink menu, definitely consider this one! 1. 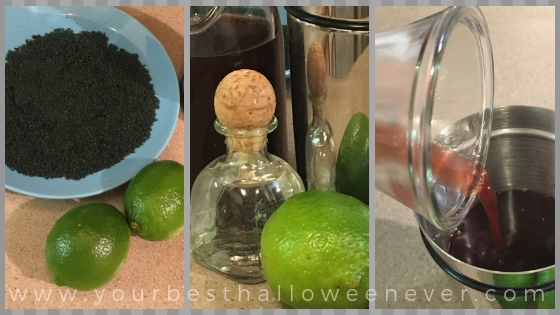 The first thing you want to do is rinse your limes and get some of the lime zest off of one and into the drink shaker with some ice. 2. Roll your limes on a clean surface and juice them using whatever device you may have handy or your hands. 3. Pour a small amount of the lime juice onto a plate. Put some of the black salt onto the second plate. 4. Dip the rim of a margarita glass into the lime juice and then into the black salt. 5. Fill the glass with ice; be careful not to jostle the salted rim. 6. Add one shot of tequila and one shot of triple sec into the shaker. 7. Pour both the black cherry juice and the lime juice into the shaker. Depending on how intense you want this Vampire’s Kiss to be, pour either a lot or a little into the shaker – your choice. 8. Cover the shaker and shake with ice. 9. Strain the cocktail into the rimmed margarita glass and over the ice. Hold the garlic and enjoy responsibly! If you’re looking to enjoy a booze-free Vampire’s Kiss, just remove the tequila and the triple sec and replace them with an orange flavored sparkling water of your choice.